The Globe was located in the Square at the south end of what is now Abbey End, almost opposite the Clock Tower. 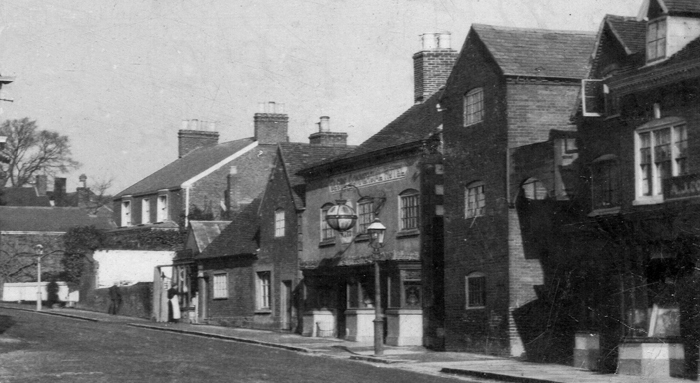 One of Kenilworth’s old pubs, it was popular with locals and visitors alike. Unlike most pubs, its hanging sign was not a flat board but a genuine world globe, as old photographs testify. It had a gated side entrance wide enough for the passage of horse-drawn carts. There was a large yard at the rear with stabling on the north side above which was a large club-room. An outside wooden staircase provided access. In 1939 the tenancy of The Globe became vacant and a Mr James Stanley was installed as the new landlord. Jim had been apprenticed to toolmaking. He became interested in politics, joined the Independent Labour Party and soon found himself in conflict with employers in his pursuit of better wages and conditions, resulting in his sacking and blacklisting so that he had to seek employment outside the city. He was happily married to Polly, who gave birth to two sons, Ralph and Lewis. When the boys were in their early teens, however, Polly died, leaving Jim to raise the boys alone. In the years prior to the outbreak of the Second World War, Jim found employment back in Coventry, and, like most working men, was fond of a glass of ale. During this period a friendship developed between Jim and Florrie, a barmaid at his local pub. The friendship blossomed into romance, and they married. Florrie sensed that Jim’s outgoing personality was suited to the role of publican, and with her knowledge of the trade found little difficulty in persuading him to apply for the tenancy of The Globe. 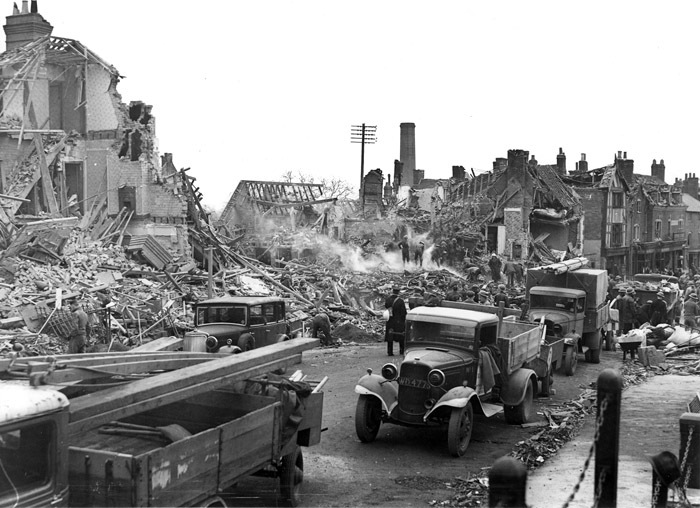 September 1940 saw the beginning of German air-raids on Birmingham and Coventry. There were frequent night alerts when warning sirens would send folk scurrying to seek relative safety in reinforced indoor an outdoor shelters. Jim and Florrie had many relatives and friends living in Coventry. They thought Kenilworth, a few miles away from the industrial target, would be a safe haven and invited them to spend the night sleeping on the floor of the unused club-room. 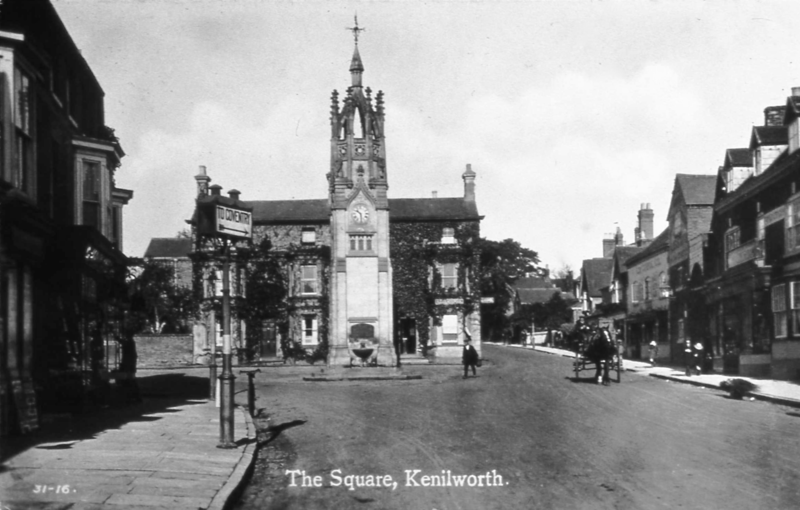 So when the men left off work in factories in the early evening, they would collect wives and children and leave the city for Kenilworth. On arrival at the club-room, rolls of makeshift bedding were placed against the walls on each side of the room. Then the men would disappear downstairs to the busy bar, to reappear with trays of drinks for their families. Later the men would return to the all-male company of the bar. A good community spirit developed in the temporary dormitory of the clubroom. Impromptu concerts were organised to raise money for parcels of little luxuries for the fighting forces. There was a small stage at one end of the clubroom and Jim would leave Florrie serving at the bar to appear on stage to deliver one of his monologues – “The Green Eye of the Little Yellow God”, “Gunga Din” and other offerings of a similar nature. His younger brother, Will, was an accomplished amateur magician whose wife Daisy played the piano and sang, sometimes accompanied by Jim, who had a good baritone voice. The finale usually consisted of a singsong in which everyone joined: good old music hall favourites and the wartime songs such as “Run, rabbit, run”, “Roll out the Barrel”, etc. Closing time saw the return of the men from the bar, when bedding was unrolled, most of the lights turned off, and everyone exchanging “Good Nights” before settling down for the night’s sleep. On the night of the 21st of November, 1940, one week after the worst air raid on Coventry, the Globe was full of people from the city, seeking respite from the terror of possible further attacks, and content to sleep in any available space. Just before closing time, a tired-looking man with ginger hair entered the bar, ordered a drink, and asked Florrie if he could stay for the night. Florrie at first said there was no space left, but when he told her he had been walking all day and was on his way to take up a job in one of the factories in Coventry she relented and said he could rest on one of the seats in the bar. He thanked her and attempted to make himself comfortable on the hard wooden settle. Glasses were cleared, ashtrays emptied, doors bolted, and lights extinguished; Jim and Florrie retired to bed. It was a relatively quiet night. About 2 a.m. a solitary German aircraft arrived over Kenilworth. Whether its crew had any specific target, or were unable to find it – whatever their mission – the decision was made to release the canister containing a ton of explosive. The crew headed for home, no doubt eager to avoid searchlights, anti-aircraft shells and R.A.F. night fighters. As they changed course, the deadly canister, suspended beneath a parachute, descended silently. The weapon was designed to explode on impact and cause maximum blast damage. It contacted the earth yards to the north of The Globe and immediately exploded. A fourteen year old boy asleep on the floor of the clubroom awoke to find he was unable to move, aware of an overbearing weight that seemed to be crushing the life out of his body; hardly able to breathe, his mouth and nostrils clogged with the dust of plaster and brick. Screams and cries for help penetrated the debris. His agony gradually succumbed to unconsciousness. As his senses returned he became aware of cold air, someone’s arms holding him, a soldier, the rough khaki of a battledress jacket against his face; of stars, bright as bright in a dark sky. The man spoke words of comfort as he carried the lad across the uneven mounds of rubble. Someone wrapped a blanket around his shivering body and placed him in the back seat of a car parked alongside the clock tower. In the dim light he discerned a figure in the front passenger’s seat. 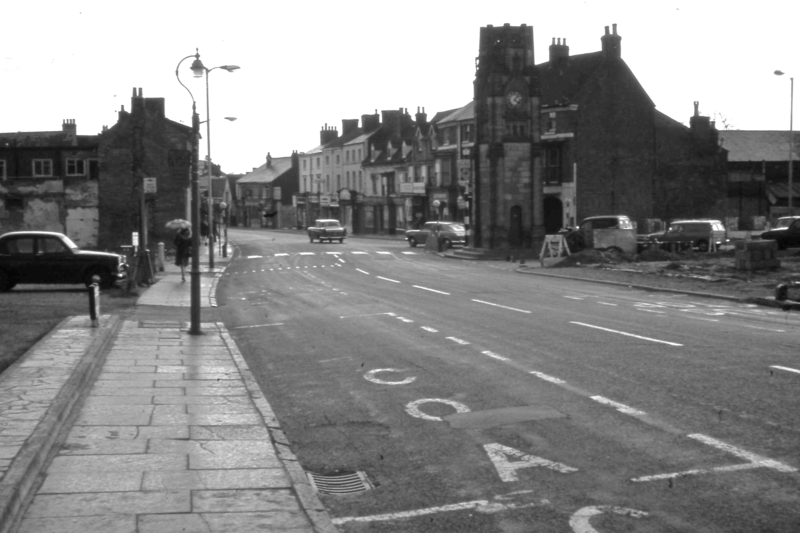 The person’s head turned and a voice, that of his Aunt Florrie, said: “Oh – it’s you, Roy – I’ve seen your mum and dad; they are all right.” Someone got into the driver’s seat, started the engine and drove the car south along Warwick Road as far as St. John’s Church. There they were led into the brightly-lit church hall. It had become a casualty clearing station. Volunteers were busy with blankets, bandages, cups of tea. The boy looked at fellow-victims, dazed, lying or sitting on mattresses. Distraught faces, barely recognisable, not the familiar smiling faces of a few hours ago. He heard his name called and saw the look of relief on the faces of his parents. Across the room he saw Uncle Jim, shirt sleeves rolled up, blood caked on his face and arms; one arm clutching a half-empty whisky bottle – the arm which had held the lifeless body of his son Ralph – he had found him lying in the pub yard. Ralph was in the R.A.F. He was on home leave awaiting the imminent birth of their first child – born a few hours afterwards . Twenty-eight people died that night, many were injured. The man with ginger hair was among the dead. Florrie never even knew his name. The following morning, victims with minor injuries were transferred to the ballroom of the Abbey Hotel and eventually taken back to their respective homes. They were left to cope as best they could after brief examination by their G.P.s. The full shock of the event began to register hours later, fits of trembling and waves of nausea. In the days to follow the survival instinct gradually took hold and, combined with the daily routine of life, normality was achieved, but, as with most trauma, scars not visible to the eye remained. Today, nothing remains of The Globe, except in the memories of a few and in Abbey End, where there is a small stone plinth bearing a bronze plate recording details of the fateful event. 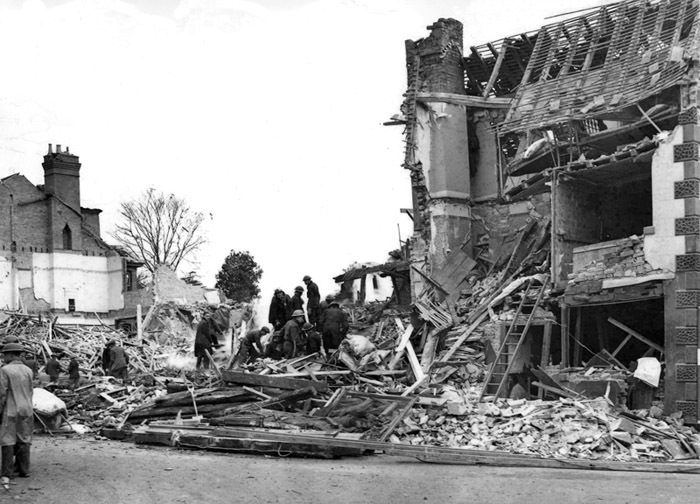 WW2 in Kenilworth specifically the ‘Abbey End Landmine’ section in Robin Leach’s WW2 in Kenilworth website, containing a detailed account of the raid, before and after pictures and damage further afield.